This is a sturdy vine with firm and shiny leaves. 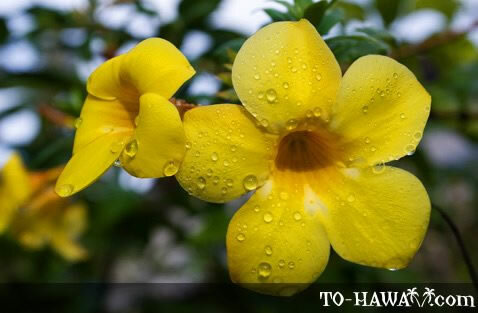 Allamanda blooms continuously and can grow to a height of 50 feet (15 m). However, it needs a fence or trellis for support, as well as well-watered soil.